A forbidden love. A daring escape. A gathering storm. Forty years have passed since the Empire was restored. Emperor Kiva the Golden, his wife Jala Parishid, and his brother Marshal Quintillian have together overseen decades of peace and prosperity, a time when the horrors of the civil war could begin to fade from memory. 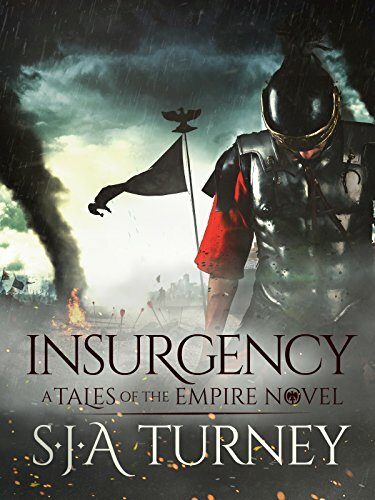 Insurgency is the fourth novel in S.J.A. Turney’s Tales of the Empire series, set in a world inspired by Roman history. A sweeping tale of deception, cunning, and military valour, this will appeal to readers of Matthew Harffy, Simon Scarrow, and K.M. Ashman.